There were only a few weeks left and some details to be ironed out before sending his great book, Fruits, to be printed, when Cédric Grolet visited the EPGB facilities in Barcelona to share four of his star creations during a span of three days in detail: the apple tart, the lemon, Paris-Brest almond, and the hazelnut. 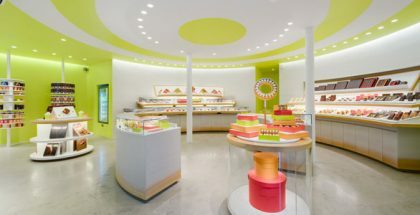 A unique opportunity to learn first-hand the philosophy of the famous pastry chef from Le Meurice – Alain Ducasse and brand-new head for a new patisserie adjoining the hotel. From that opportunity the article that we published in so good # 18 was born and a video in which we can observe how he builds that spectacular dome based on apple slices little by little. Jordi Puigvert served as assistant for the occasion and complemented Cédric Grolet’s comments. 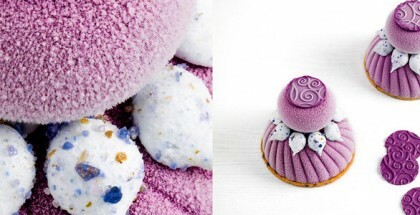 These creations are also protagonists of the book Fruits that has already become one of the most important hits of recent times in terms of artisan pastry and that can also be obtained at our store, BooksforChefs.